Things must have been slow around Deception Pass, since the hands at the Darwin Ranch have been keeping occupied by proving — nothing. While theories and models are expected to change in light of new evidence, it's just plain insipience to keep feeding mules that won't pull the wagon. Not only do they feed the evolution mule, but they also feed the cladistics mule. In this case, rearranging the dinosaur family tree. In the evolutionary scheme, scientists have no idea where dinosaurs came from. But they have clades showing the alleged relationships between them and where they perch on the tree of life. (Evolutionists do this cladogram circular reasoning stuff, proving evolution by assuming evolution, in much broader ways as well.) Using new models, some evolutionists are mighty agitated, "Everything we know about dinosaurs is wrong! Textbooks have to be rewritten! Katie, bar the door!" Take this branch here, put it over there, move that other one, then invoke a "previously unknown group and call it Ornithoscelida. Whoa there, Wilberforce! Previously unknown group? Kind of makes it sound as exciting as a new species of critter getting itself discovered in the Amazon rain forest. No. They're all man-made classifications, so they just haven't made this one up yet. Others scientists are not worried, the nothing they already have is just fine, thanks, even though it was never right. As to the "mystery" of where dinosaurs came from and the reason there is no decent way to classify them, it's simple: they were created, there was no common-ancestor evolution. Savvy? 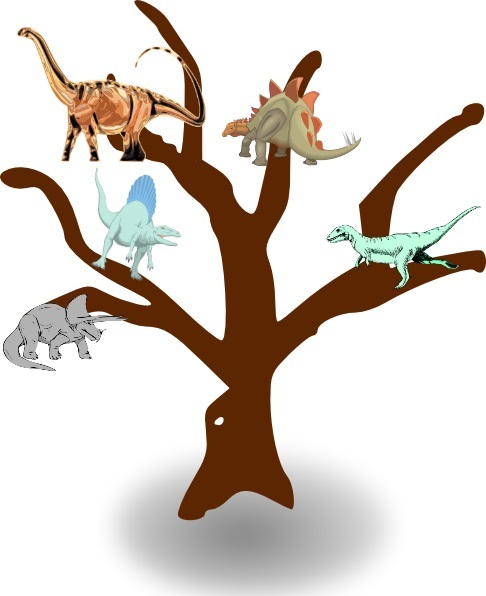 Evolutionists seem to enjoy rearranging branches on the Darwin tree, not to find the truth, but to fool the public into thinking they’re getting warmer. Alas, everything you were told about dinosaur evolution is wrong! That’s the impression from the headline hype. We’ll get to what’s actually happening below. To finish reading (and get a couple of news items related to dinosaurs), click on "The Great Dinosaur Mix-up".